IMF’s Changyong Rhee (right) and GIOAS’ Andrew Sheng at the public talk at Wawasan Open University yesterday. 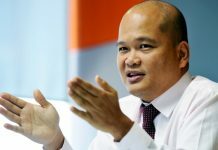 GEORGE TOWN: An economist with the International Monetary Fund (IMF) said further escalation of United States-China trade tensions could eventually have a significant negative impact on Asean countries. This is despite some countries benefiting from the trade diversion effect in the short term at present. IMF Asia and Pacific Department director Changyong Rhee said, in the meantime, Asian economic growth remained resilient despite slower-than-expected growth of the global economy. He urged Asian economies to fix “the roof while the sun shines” before several downside risks materialise in the global economy, including an escalation in trade tensions, a potential “hard” Brexit, and tightening of global financial conditions. 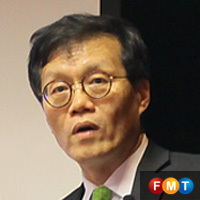 IMF Asia and Pacific Department director Changyong Rhee. “Many Asian countries are currently in better shape compared with other emerging economies in other regions. “We are not worried about an immediate recession or crisis, but Asian policymakers should not be complacent and there are many downside risks. “One serious problem is that many economies are not well prepared for the next downturn. “In coping with the global financial crisis and its aftermath, many countries, including emerging Asian economies, used monetary and fiscal arsenals significantly and are left with insufficient ammunition now. 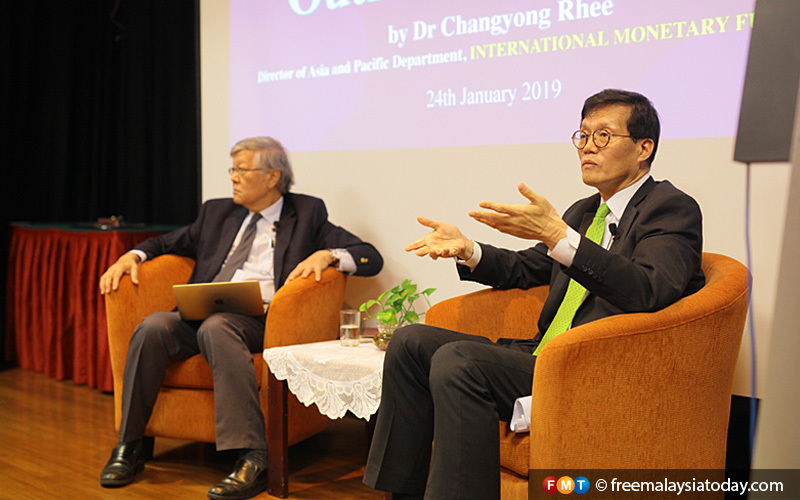 Rhee was speaking at a forum titled “Regional Economic Outlook for Asia”, organised by the George Town Institute of Open and Advanced Studies (GIOAS), at the Wawasan Open University here yesterday. 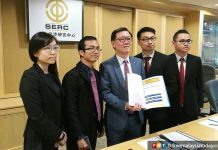 It was mediated by GIOAS’ Andrew Sheng, a former central banker who is also the chief adviser to the China Banking Regulatory Commission. Rhee allayed fears of a 1997-like economic slump recurring in Asia as the fundamentals of Asian economies had become stronger and resilient. This is coupled with much improved and sophisticated economic policy management. 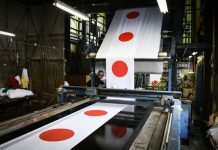 He said the current risks for global growth to dip were trade tensions, financial market volatility, the uncertainty over Brexit, political risks, and a deeper-than-envisaged slowdown in China. Rhee said IMF had revised the global growth projections to 3.5% for 2019 and 3.6% for 2020 respectively, as weakening market sentiment and trade policy-related uncertainties have begun to leave their mark on growth.